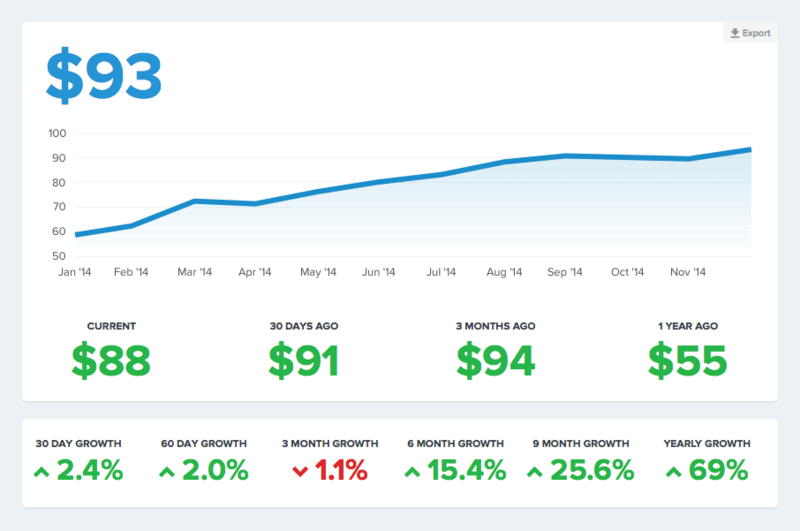 One year after Baremetrics was launched, we hit $25,000 in monthly recurring revenue. I’ve tried a lot of things to grow the company over the past year. A few things have worked well. A lot of things have flopped. We grew quickly, then stagnated for a bit, and are on the upswing now. So, what worked and what didn’t? It’s worth mentioning that I’ve written about our journey to $5,000/mo as well as growing to $14,000/mo, both of which may be worth your time if you’re at those stages of your business. Here are five things that worked well for growth on our way to $25,000/mo. It doesn’t matter how amazing you are at design, development, support, sales or marketing. The fact is, you can’t be amazing at any of them as long as you’re trying to do more than one of them. When you’re just getting off the ground, the more you can do yourself or with a bare-bones team to prove that your business has a fighting chance, the better. But after you’ve proved it, it’s time to start delegating. The world is full of people smarter than you and you need to do everything you can to have them on your team. They’ll not only do a better job specializing in one area of the company, but they’ll push both the product and the business to better places. This especially rang true when I bit my pride and hired an engineer to take over the development work. Within weeks Baremetrics was more stable and faster and we were able to get to work on making the product more valuable. There’s a common theme among all successful businesses: they create value. That value may be in the form of literally creating monetary value (a CRM that helps you close sales, an ecommerce platform) or, more commonly, it’s in the form of a painkiller. 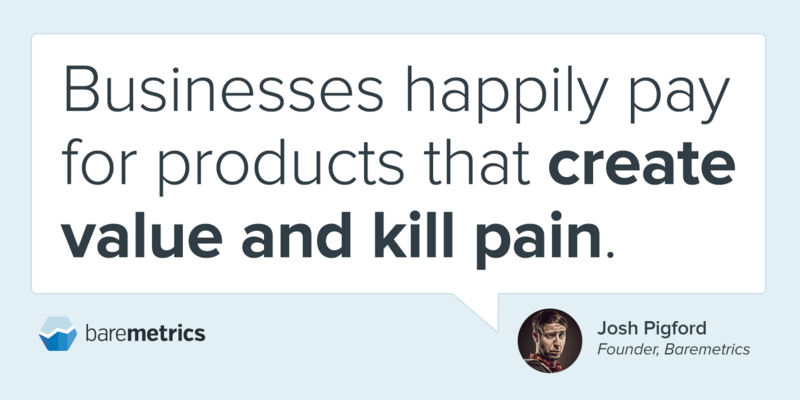 A painkiller solves a big problem that saves customers time and, in turn, money. Businesses happily pay for products that create value. A key metric for determining if you’re creating real value or not is ARPU (average revenue per user). A low ARPU can even be a sign that your SaaS business is dying. We spent much of the year focusing on increasing value and it paid off. We grew ARPU by nearly 70% from $55 to $93. Everything from more features to solid customer support all contribute to a higher-value product. We’ve dropped back down to $88 now as we reintroduced our $29/mo plan, but it’s still much better than it was a year ago. The key takeaway here is that just generic content marketing is not the stuff that worked well for us. What did work well was when I laid out very specific things I did and gave tips that other startups could put to use. 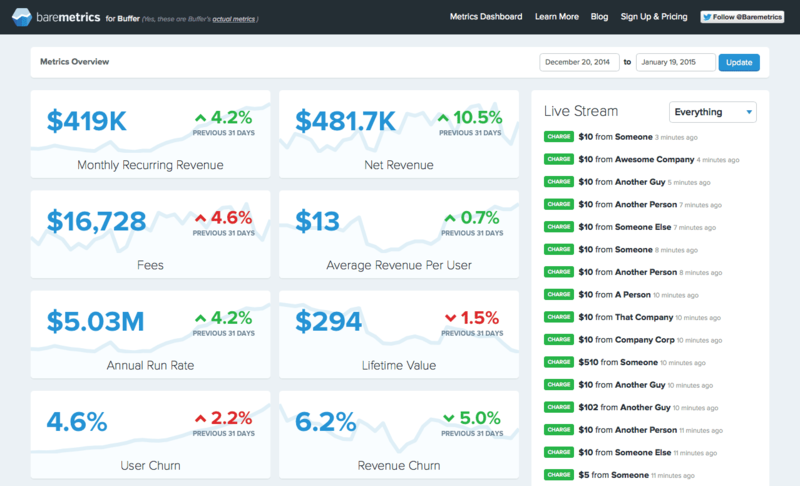 In February, after rebuilding Baremetrics from scratch, I needed a live demo of what Baremetrics could do. I was faced with two options: spend an inordinate amount of time meticulously putting together a bunch of data for the demo…or I could just make our own Baremetrics dashboard public for all the world to see. Baremetrics for Baremetrics. It opened so many doors and started so many conversations that even if it wasn’t a direct driver of new customers, it would have been worth it. But it is direct driver of new customers. 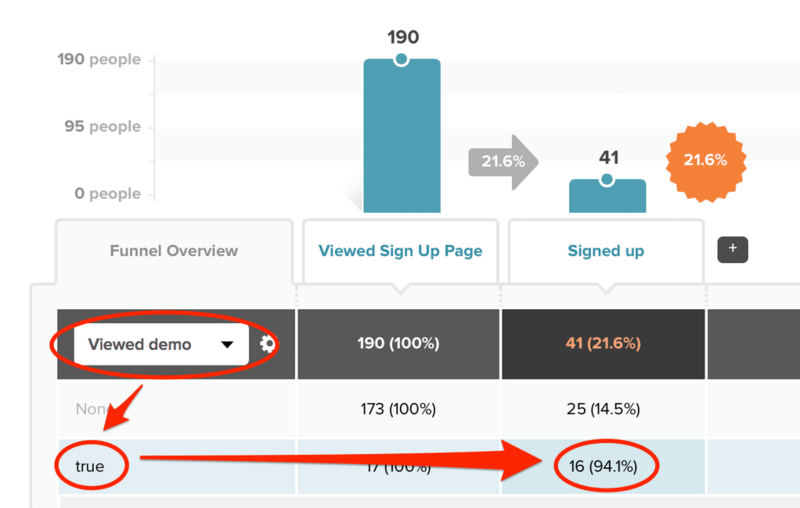 People who visit the demo are 5.5 times more likely to become a customer. And speaking of opening doors, the biggest door opened by making our metrics public was for Buffer to do the same. It had an immediate positive effect and nearly a year later continues to be the biggest consistent referral of traffic. Our partnership with Buffer permanently changed the growth curve for us, all thanks to a 10 minute conversation on the way to dinner at a conference. While there were a number of major things that helped us get to $25,000, there were a couple of things that slowed us down. It’s slightly counterintuitive, but the process of raising our $500,000 round of funding had a noticeable impact on growth. Raising was definitely the right move, but the process of wrapping that up was draining at best. As Paul Graham says (paraphrased), “either you’re raising or you’re building…but you can’t do both.” That was definitely the case for me. All the paperwork, calls with lawyers and the mental roller coaster of the entire experience took a toll. I hired four of our five employees in less than two months. Given I had nearly no hiring experience, there was a major learning curve. Getting all the things in place to properly support a team is a surprisingly huge amount of work. Payroll, benefits, on boarding, design and development processes, and a thousand other things. Bringing everyone on was definitely a good move, and we’re now starting to see the byproduct of having a really solid team in place, but it was basically my only focus for 6-8 weeks. Tack that on to the tail-end of raising money, and there were about four months there where growing the revenue part of the business just couldn’t happen. Thankfully we’re on the upside of that now. So, what’s on the docket for the coming year? $25,000/mo was a big milestone for us, but this year we’ve got an even bigger milestone we’re after: $1,000,000 run rate. That translates to about $83,000/mo. Everyone on the team is firing on all cylinders and the big features we’ve had in the pipeline for the past few months are about to start rolling out. Those big features, plus a slew of other things in the works, will make that $1M run rate a real possibility. So, what are some things that have worked for you as you’ve grown your company?